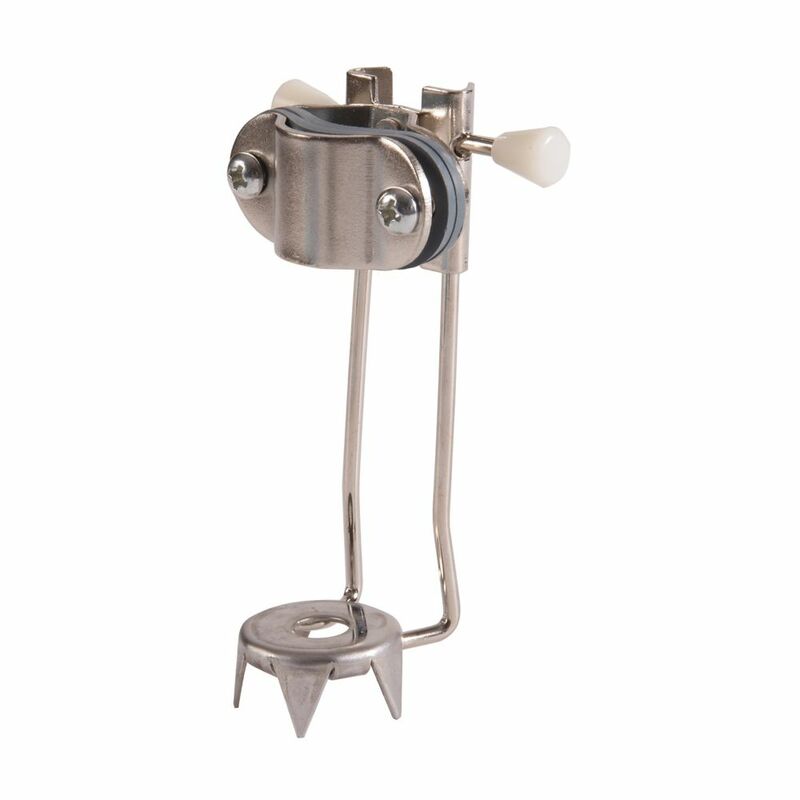 This 5-prong ice attachment fits over your cane's rubber tip and bites into ice to improve stability. Can be clamped on during winter storms and removed easily. Easy flip-up design means you can keep it on indoors too. The most beautiful dispenser ever designed by Better Living Products, this AVIVA Single Dispenser features an inspired aesthetic that's sure to enhance your bath, shower, vanity or sink. Sleek, modern elliptical shapes blend to create graceful European styling that is timeless yet perfect for contemporary decor. Designed for effortless installation in just minutes, this elegant design eliminates shower bottle clutter and conveniently pumps a pre-measured amount each time. This easy-to-install, single-chamber Clear Choice Dispenser from Better Living Products holds more than 450mL of liquid soap or lotion and neatly dispenses product at the touch of a button. The pump pre-measures just the right amount of liquid every time, helping you avoid the hassle and mess of standard pump dispensers. Designed for quick installation on any wall in just minutes, this handy design is easy to refill with a lift-off bracket and is durably crafted with sturdy ABS material. CleanHead is specifically designed for clean and ultra-close cuts. The patent-pending, angled shaving head technology includes comfort rollers that guide the shaving foils along the contours of the head for the most effective cutting. The universal soft grip fits comfortably in the palm of the hand, enabling the user to shave with either hand in any direction. Use the rechargeable CleanHead groomer every day, anywhere, anytime! 5 Prong Ice Grip Attachment for Canes or Crutches If you're worried about slipping on the ice or snow while using a cane, walking stick or crutches, minimize your risk of falling by using this DMI ice grip attachment. This removable, retractable, adjustable walking stick attachment with 5 teeth bites into ice to improve stability when walking on icy roads or pavements. The five-point stainless steel base locks in place during use and easily flips up for indoor use. It attaches easily to most canes or crutches with only two screws (included). Note: each package contains one ice grip. You will need to purchase two for crutches. 5 Prong Ice Grip Attachment for Canes or Crutches is rated 5.0 out of 5 by 4. Rated 5 out of 5 by Pete from It works well in Ice and frozen ground. Very easy to install. It works well in Ice and frozen ground. Very easy to install. Rated 5 out of 5 by garysic from Works great, Thank you for a product that works well. Works great, Thank you for a product that works well. Rated 5 out of 5 by Phyllis from Easy to assemble. Using in icy or uncertain circumstances... Easy to assemble. Using in icy or uncertain circumstances gives extra level of stability. I do not normally use a cane, but use one with this attachment in described circumstances. Rated 5 out of 5 by Debbie from 89 year old loves it It was just what my father-in-law wanted at about 1/3 the cost of the local drug store. He's very pleased.